September 27th: Speaking in advance of the Living Wage Forum being convened on Wednesday by Business and Employment Minister Gerald Nash, Unite’s Ireland Secretary Jimmy Kelly said today (Sunday 27 September) that the Living Wage – currently €11.50 – must become the new Minimum Wage over the medium term. He pointed out that this will not be achieved through voluntary means but will require a range of concrete policy measures, including but not limited to further increases in the Minimum Wage. Mr Kelly’s remarks came as the union issued its latest Economic Comment, on Promoting a Living Wage. “Ireland has the third highest incidence of low pay in the EU15. Over a quarter of all employees earn below the hourly Living Wage – but even this shocking figure understates the number of people earning below a Living Income. Many people cannot get the hours they want to earn a full weekly wage, while others suffer periodic stretches between work. 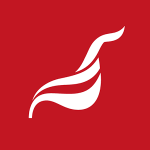 “The recent Minimum Wage increase – which was half of what Unite has sought – brings the statutory pay threshold to just €9.10 per hour – a full 21 per cent below the Living Wage. “Over the medium term, the aim must be to ensure that the Living Wage becomes the new floor. Social investment to reduce high living costs, thus reducing the amount needed for the Living Wage. “The Living Wage forum is a welcome recognition of the crisis that is low pay. But all parties need to recognise that the Living Wage will not be achieved through voluntary means: it will require a series of concrete policy measures to ensure that no-one earns below this decency benchmark”, Jimmy Kelly concluded. This entry was posted in Living Wage, Press Releases, Republic of Ireland news and tagged Jimmy Kelly, Living Wage, Unite ROI. Bookmark the permalink.